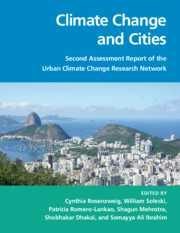 A new publication titled “Climate Change and Cities: Second Assessment Report of the Urban Climate Change Research Network,” co-edited by Dr. Shobhakar Dhakal of AIT has been released. Dealing with Environmental Policy, Economics and Law, Climatology and Climate Change,Earth and Environmental Sciences, the volume has been published by Cambridge University Press. Edited by Cynthia Rosenzweig, NASA Goddard Institute for Space Studies, Columbia University, New York; William D. Solecki, Hunter College, City University of New York; Patricia Romero-Lankao, National Center for Atmospheric Research, Boulder, Colorado; Shagun Mehrotra, New School University, New York; Shobhakar Dhakal, Asian Institute of Technology, Pathumthani, Thailand; and Somayya Ali Ibrahim, Earth Institute at Columbia, the Urban Climate Change Research Network's Second Assessment Report on Climate Change in Cities (ARC3.2) is the second in a series of global, science-based reports to examine climate risk, adaptation, and mitigation efforts in cities. 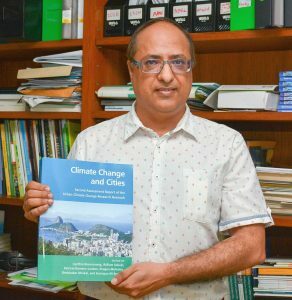 “The book explores the implications of changing climatic conditions on critical urban physical and social infrastructure sectors and intersectoral concerns,” says Dr. Shobhakar. It seeks to inform the development and implementation of effective urban climate change policies, leveraging ongoing and planned investments for populations in cities of developing, emerging, and developed countries. The volume is targeted at audiences involved with climate change and cities: mayors, city officials and policymakers; urban planners; policymakers charged with developing climate change mitigation and adaptation programs; and a broad spectrum of researchers and advanced students in the environmental sciences.